The location is the air base at Scoudouc, New Brunswick. Note the weight in the bottom right corner. 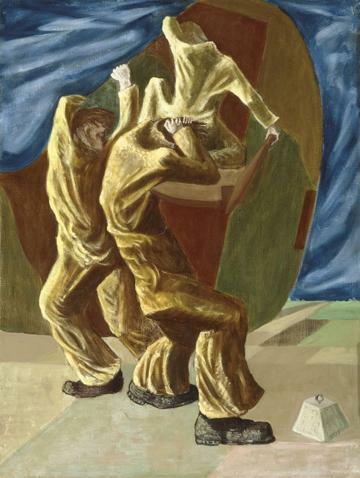 Reinblatt emphasizes the nature of the weather and the difficulty of the operation by exaggerating the gestures of the three figures. The result is a composition of imposing theatricality.